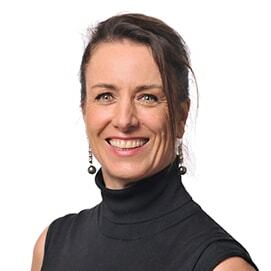 Barb has extensive operational and governance experience spanning acute and sub-acute hospital services, primary care, mental health, aged care, palliative care and hospice services, across metropolitan and regional settings in Australia, the UK and the US. She has been a board director for health services and not-for-profit organisations. Barb brings a passion for consumer-centred care and for evidence-based service delivery. Undertook stakeholder consultations for a national feasibility study of community and aged care palliative care guidelines. Outside of Nous, Barb owns a large coastal restaurant and is a board member of Back to Back theatre. She is a former deputy chair of Barwon Health and the Geelong Palliative Care Association. She has also been a member of many other community organisations and committees. Barb holds a Bachelor of Applied Science (Occupational Therapy) from Lincoln Institute and a Master of Arts (Occupational Therapy) from New York University. Barb enjoys living between Melbourne and the Bellarine Peninsula. Her three grown boys continue to provide immense joy. Barb’s interests include health and nutrition, child behaviour, and tandem cycling.